Ralph Records is committed to presenting the outstanding music of Louisiana Performers to the rest of the nation and the world!!! 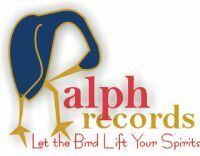 Welcome to Ralph Records and Productions Inc. Mr. Eddy Deloney, owner of Ralph Records of New Orleans, La. brings you what Louisiana is known for; "Joie du vie", (Joy of Life). This site contains Entertainment by Louisiana Artists, CDs, mp3, Pictures, Zydeco music, Bands, Cajun music, Country music, Jazz music & bands, Swamp Pop, Gospel, music, Festivals and more. Ralph Records is capable of bringing the spirit of Louisiana to your town. I would highly recommend any of these for your party or special occasion. So just call me at (504-908-7558) if you would like to hire them. Companies, Casinos and Others, for Special Occasions or a Fun Filled Weekend For Your group. I can bring Louisiana to you such as La Touche band along with other local cajun bands, dancers, cooks or whatever you wish to put on a Cajun Festival at your site. We always close out our shows with Mardi Gras-style- music complete with cups, beads, and other goodies. If you can't wait to see our hot show live, we now have four recordings available from Ralph Records. To buy with VISA or MASTERCARD check the left frame & click on appropriate link.